We specialize in the routine maintenance every air conditioner needs. All homeowners should be sure to have their AC unit each year. Spending a little of bit of money on this each year can save you thousands of dollars over the lifespan of your AC unit because you will be avoiding major repairs. Just like your cars, furnaces, and boats, it is much cheaper to perform preventative maintenance on your AC unit than pay for extreme emergencies when they arise, especially if you have an older unit. In addition to emergency installation, we also offer repair and maintenance to ensure you stay cool and safe. If you are looking for the best services for you air conditioner St. Anthony has to offer, we are the right choice. We offer comprehensive air conditioner repair and replacement at an affordable price. We perform both single and two-stage repairs. We even offer great energy-saving AC units that can help pay for themselves by reducing your monthly energy bills. In some cases, these units pay for themselves over their lifespan. You would be surprised at how many people make the mistake of purchasing the wrong AC unit or furnace for their home. Each home has different ductwork and ventilation. Getting the wrong system can cost homeowners a lot of money. This is why our trained technicians will inspect your home and its ventilation system to ascertain what the best unit is, getting you the perfect airflow and energy efficiency for your situation. In our experience, choosing the wrong unit is one of the most common and worst decisions a person can make regarding their system, costing them thousands during the 10-20 years they have the unit. AC repairs aren't cheap. This is why many people choose to purchase a new unit instead of paying the $1000 on average that each repair costs. We recommend Goodman products when it comes to your air conditioner or your furnace because they are quality units that last for years and are energy efficient. Our services are affordable, starting at just $90 per visit, so call us if you are having a problem and need it fixed. Also, if you need a new furnace or AC unit, don't hesitate to call us because you think you can't afford it. With our financing program, qualified homeowners can have a new unit for as little as $35 a month, making it affordable for anyone. We can also provide services for your home's water heater whether you have a tanked or tankless unit. We even work on boilers. Water heaters have a similar lifespan to air conditioners, so it may be cheaper to replace yours rather than have it repaired every few months. These costs really add up over time, making replacement a better option. Your water heater is something you should have serviced at least on an annual basis. An ounce of prevention is worth a pound of cure when it comes to any aspect of your home. This is the only way to guarantee you have a working water heater for as long as possible while keeping it as energy-efficient. We are the best service provider for you water heater repair in St. Anthony has to offer, so call us today for a repair or installation quote. 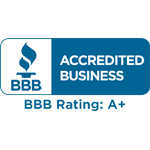 Whether it is for air conditioning, furnace or water heater repair, call on our EPA certified technicians at Doug’s Construction and Repair to keep you comfortable in your home. We do everything we can to ensure your system operates efficiently and affordably. We are committed to your satisfaction, which is why we are here now and tomorrow. It is not in our interest to appease with low-cost brands that have questionable ratings. Too often, we have seen unsuspecting residents going for a deal that only ends up costing them triple and quadruple the savings originally projected. We project the confidence we have as we stand behind our work. Call us today for a quick consultation and let us get your home back to providing proper indoor air quality at a price you can be happy about. Low cost brands like Carrier or Day & Night. Making sure you take advantage of our preventative care will save money in the long run because it is far cheaper and comfortable for the customer to deal with than emergency service calls.